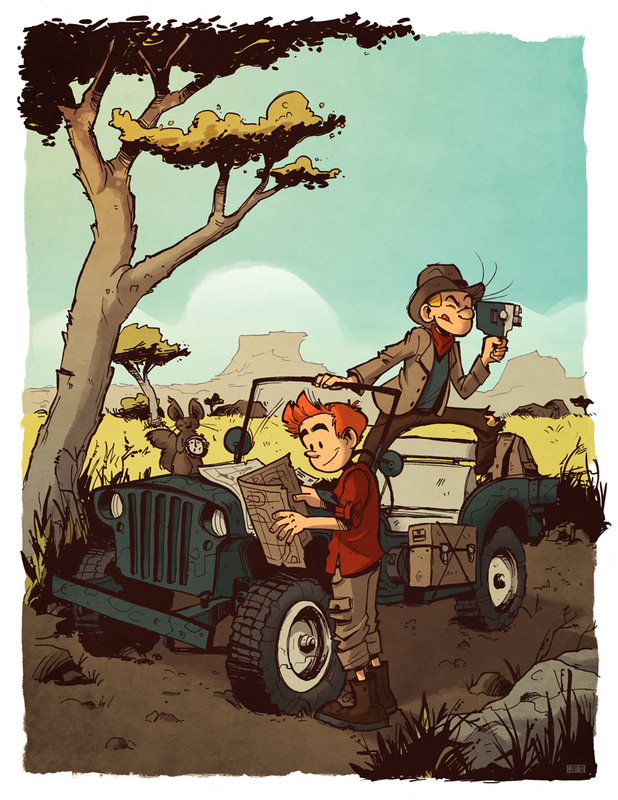 Finished Spirou print! It took me so long to decide what to do for that tribute. Franquin’s albums were more city-centric, with Spirou in the groom outfit and Fantasio wearing the most outrageous yet fashionable suits, all surrounded by a nice retro/modern setting. But my favorite albums were Tome and Janry’s, which were more action-adventure, so that’s what I went for. The best part of the Montreal Comicon is the really strong presence of franco-belgium comics, which are published here in the original language. I knew a lot more about Tintin and Spirou as a french speaking kid, then I did for any american comic book heroes. Hence, the fanart!